Case Roll out a secure and user friendly Wireless Networks for the hospitality, healthcare industry and public sector in Scotland. Objective Control access to the customers Wireless network and ensure a stable and safe connection to the Public. 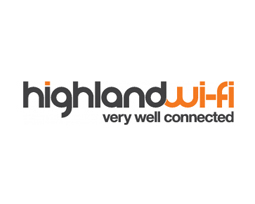 Result Today hundreds of visitors per day in over 100 Scottish locations are connecting to the internet via the our Gatekeeper portal, providing the Highland WiFi customers with valuable insights.